So you’re headed to The Big Easy but only have 48 hours in New Orleans? Don’t worry you can do a lot with 2 days in New Orleans. I visited New Orleans with my girlfriend over a weekend and we were able to eat our hearts out, hear great music, learn about the history of New Orleans, and a have a little ghost and vampire fun. 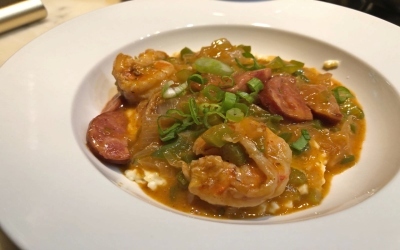 Visiting New Orleans with kids? Here are 10 Things to Do in New Orleans with Kids. When looking for cheap flights to New Orleans you may not be able to find any during the best time to visit New Orleans. I was able to find cheap flights to New Orleans by traveling in the off season. I scored a penny fare on Spirit Airlines by using Skyscanner to find flights for my trip. It allows you to enter your home airport and desired destination and then search for the cheapest month to travel there. 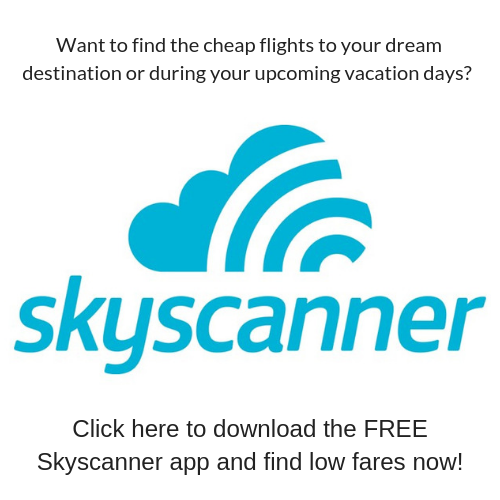 You can download Skyscanner’s free app here. Spirit randomly has flights for one penny and you can book them online or at the airport and only pay the taxes for the flight. If you book at the airport you will save the $19.99 passenger usage fee that is applied each way, a savings of just under $40.00 on a round trip flight per person. Since I was traveling for the weekend I could easily fit everything I needed in a bag that fits under the seat and flies for free. Here are tips on maximizing savings while flying Spirit Airlines. 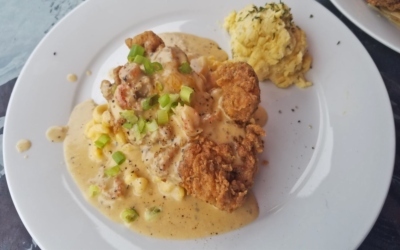 The best time to visit New Orleans really depends on what you’re looking to do. If you want to experience Mardi Gras or Essence Festival the best time to visit New Orleans would be when those events takes place. We visited New Orleans in mid-August as it is one of the slowest months for NOLA travel. While this is mainly due to the hot and humid weather, as Floridians the weather isn’t something we aren’t used to. We gladly enjoyed uncrowded street and lower prices on lodging. It ended up not even being that hot but there were some afternoon showers as it was Hurricane season. When deciding where to stay in New Orleans we first looked at hotels but found Airbnb’s much more affordable. Since we only had 48 hours in New Orleans we wanted to be close to the activities on our agenda. We booked this Airbnb that was about 10 minutes from the French Quarter. It was a duplex and the owner lived in the unit next door. New to Airbnb? 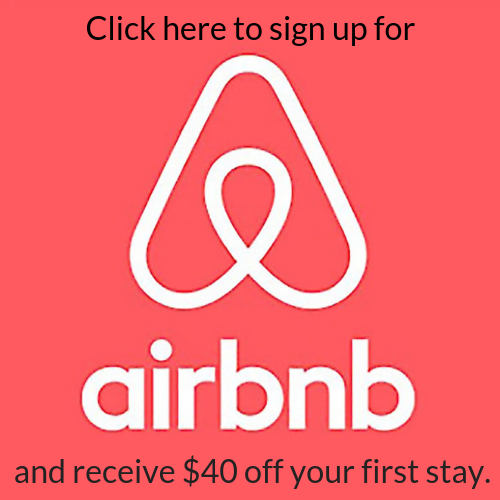 Sign up here and save $40 on your first stay. If you’re nervous about renting an Airbnb, don’t be. Here are 8 tips for a great Airbnb experience. We arrived late the night before so we just hung out at our Airbnb and rested for our first day in New Orleans. 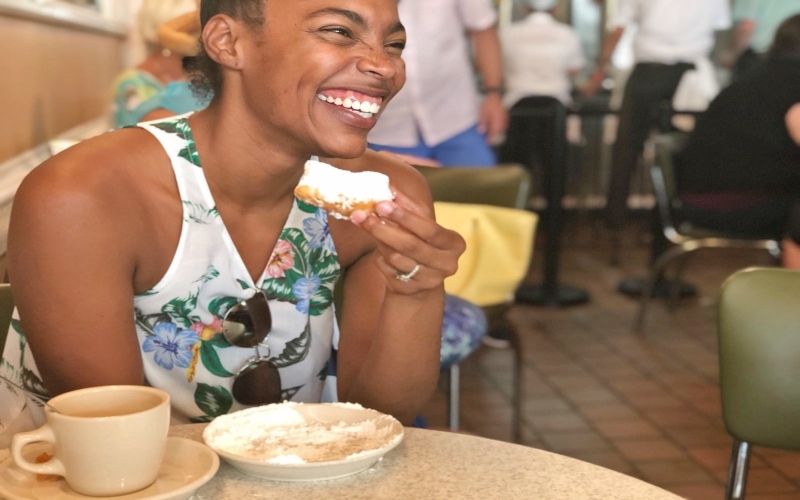 What better way to kick off our 48 hours in New Orleans than with breakfast at Café du Monde. It’s famous for it’s beignets but with fame comes extremely long lines. While it’s open 24 hours it starts getting really packed around 9AM so try to get there early. Don’t let the long to-go line scare you, you can seat yourself at any open table and a server will come over to take your order! After stuffing our faces with beignets from the original beignet spot in New Orleans we walked to Jackson Square, which is just across the street. Jackson Square houses the Jackson Square Cathedral and is a staple landmark in New Orleans. ​Within and around the square you will see vendors selling artwork, musicians playing jazz, a number of physic and tarot card readers and many others doing odd acts for tips. You will also get a taste of the beautiful architecture the French Quarter has to offer. ​After walking the square and surroundings areas it was time to head to our New Orleans cooking class at The Mardis Gras School of Cooking. This class takes place in the owner’s home and it is a really nice setting. It scheduled to lasts 3.5 hours and also includes unlimited mimosas, bellini’s, and wine. 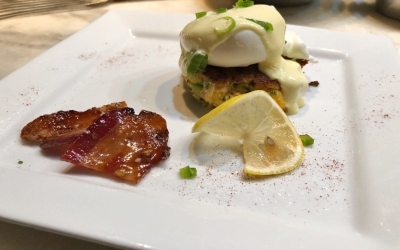 ​We chose to take the brunch class where we would be making shrimp and grits, crab cakes and Eggs Benedict and chicken and waffles. ​Not only did we learn the techniques of cooking these meals our instructor also taught us presentation skills as well. The class was phenomenal and they provide you with each recipe so you can recreate what you mastered in class at home. Our class ran over time so we were unable to visit Studio Be as we had prepaid tickets for a show. If you have a longer stay or opt out of one of our other suggestions you should check them out. After our cooking classed we headed back to the French Quarter to see a show at Preservation Hall. They have different jazz bands play a 45-minute set with nightly shows at 5, 6, 7, 8, and 9pm. The hall is small so I recommend making a reservation online or plan to arrive early to stand in line to ensure a seat. Tickets are $20 and it’s cash only. You cannot take any photos or video while the show is going on but we were able to take a photo with the brass band leader afterwards. The music was amazing and I highly recommend making a visit. 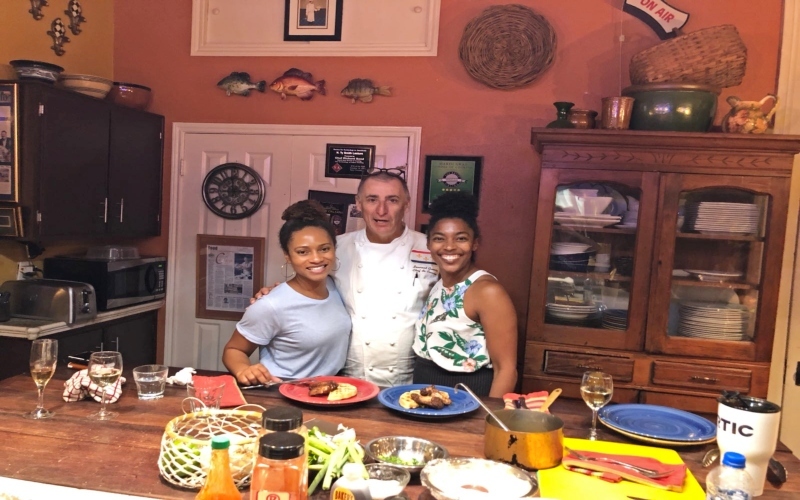 We may have just completed a 3 course New Orleans cooking class but NOLA has some of the best food in the country so we were determined to eat as much as possible. This time we would be dining at an establishment off the beaten path. Unfortunately most local and family owned businesses can’t afford the retail space it costs to be on Bourbon Street but you can easily get an Uber or Lyft to take you to the. We chose Heard Dat Kitchen and there could not have possibly been a better choice. 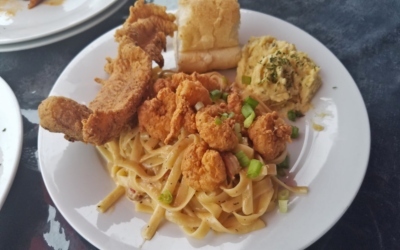 I ordered the Bourbon Street Love and my friend ordered the pasta special they had for the day. We were not disappointed at all and the best part is the story behind this business. Chef Jeff is the owner and the restaurants employees are his children all who have years of experience in the service industry. Don’t worry about how the outside of the building of Heard Dat Kitchen looks, your taste buds will forever be thankful to you for blessing them with the delicious food served here. It was time to walk off the 6,000 calories I’m sure we’d eaten for the day. We booked the Ghost and Vampire tour with French Quarter Phantom Tours, which starts at the Voodoo Lounge. The tour lasts 1.5-2hrs and while there are many stops you will end up walking about a mile so wear comfortable shoes. The tour was actually really informative and no, we didn’t see any ghosts but we did learn about some very weird, unexplainable, and unsolved mysteries in New Orleans. 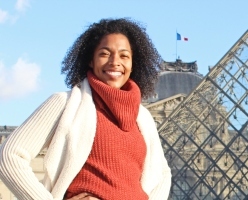 Do yourself a favor and request Malika as your tour guide, you won’t be disappointed! 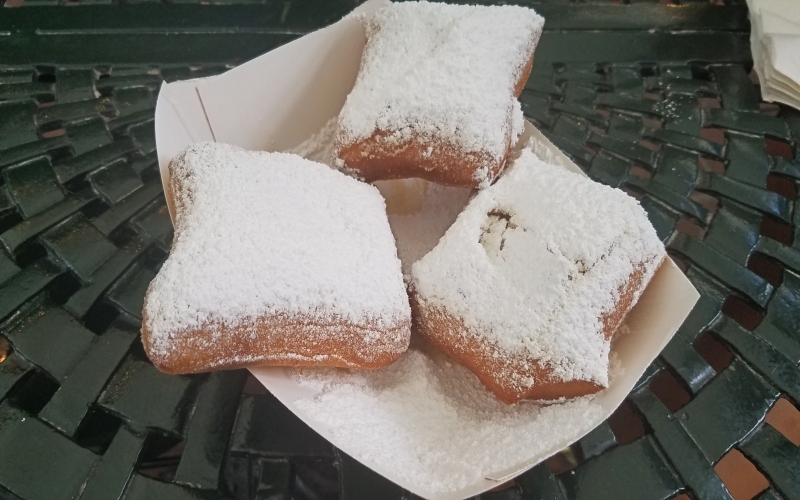 ​Since I didn’t really eat my food it ended up being the perfect opportunity to try a different beignet shop. Café Beignet was a short walk away so we stopped there. Café Beignet was a little more expensive but their beignets are also bigger and a little fluffier. They also take credit cards which was a big win for me. Taste wise, I honestly can’t decide which one is better; Cafe du Monde and Cafe Beignet are neck in neck in my eyes. It was time for our Tour Treme that we also booked through French Quarter Phantom Tours. Treme is the oldest African-American neighborhood in the United States occupied by free people of color. It’s a side of New Orleans that unfortunately most visitors skip. 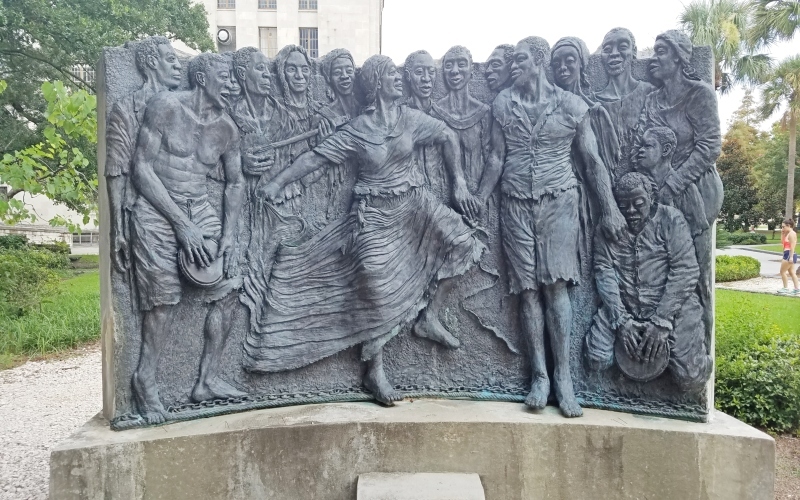 Home of Congo Square and where many great jazz artists and brass bands were born, you shouldn’t leave New Orleans without visiting. Tour lasts two hours and you’ll walk about a mile and a half, making stops along the way. ​After walking off breakfast it was time for lunch. We couldn’t leave New Orleans without having po’ boys and oysters so we headed to Café Fluer de Lis. 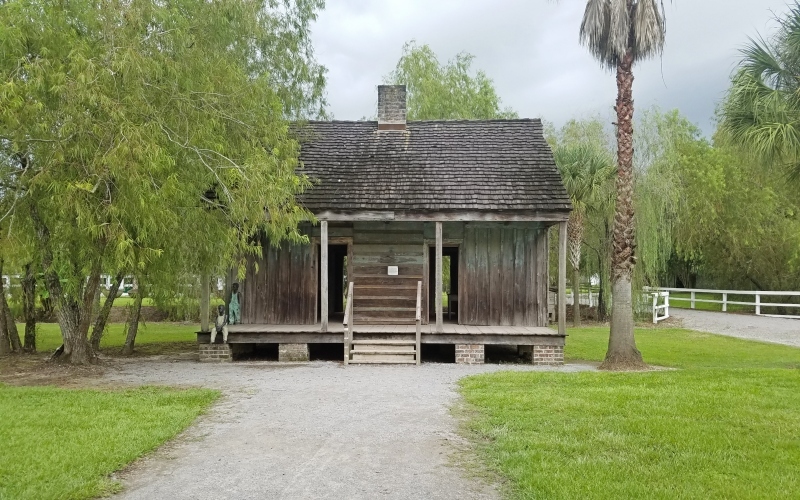 ​After eating it was time to head to Whitney Plantation. It’s an hour outside of the city and you will need a car or a tour service to take you. 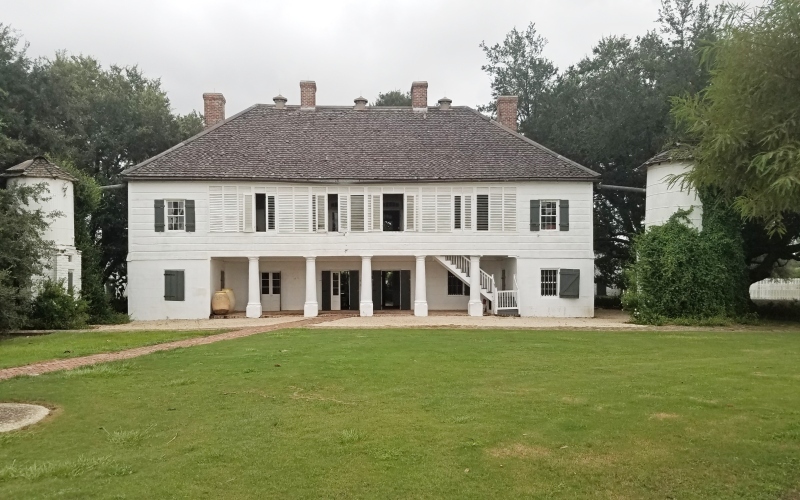 While tempting you cannot take an Uber or Lyft to Whitney Plantation. You might get a driver to take you there but no one will come to pick you up. If you aren’t renting a car you must go with a tour company. Only guided tours are available and reservations are highly recommended. Tours run on the hour starting at 9AM with the last tour at 3PM and they last 1.5 hours. Children 6 and under are free, children 6-10 are $10 and adults are $22. Whitney Plantation is the only Plantation tour in the New Orleans area that tells its stories from perspective of the slaves. The others are more about the slave owners and sugar coat the atrocities of slavery. While it can make for a tough and uncomfortable visit it is much needed. After our tour it was time to head to the airport for our flights. 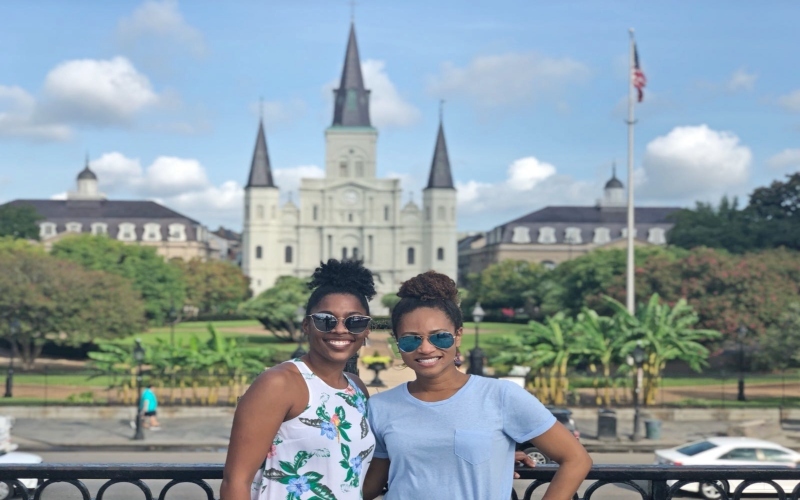 We had an amazing 48 hours in New Orleans and hope you will too! 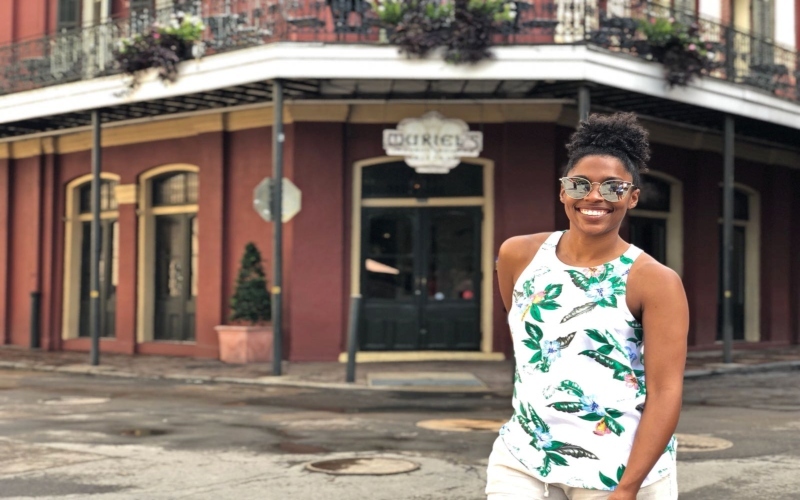 Next time we hope to stay longer so we can check out more of these 65 things to do in New Orleans. We rented a car since our Airbnb had a driveway with free parking. We drove to Café Du Monde because were arriving early and knew we would be able to find street parking. This also allowed us to drive to our cooking class but you can easily take the ferry there from Harrah’s. 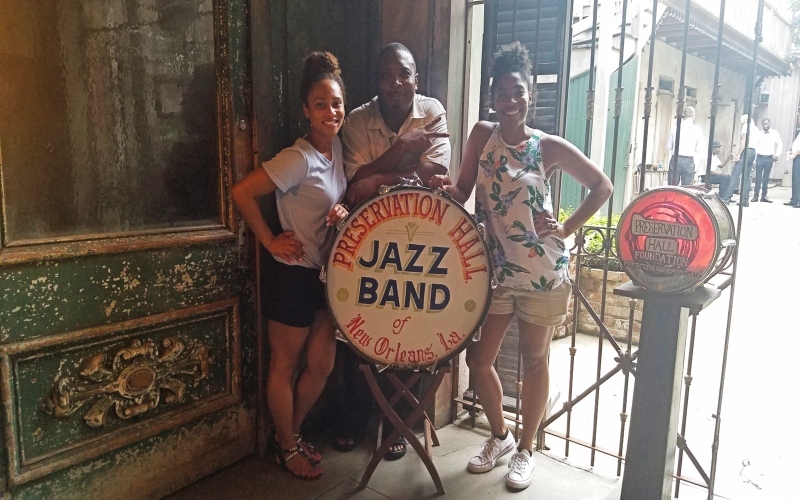 After our cooking class we parked the car at our Airbnb and took a Lyft to Preservation Hall. We did this as it’s near Bourbon Street and knew parking would be difficult to find or very expensive. On Sunday’s the city offers free metered parking and we took full advantage. We drove to the Tour Treme meeting spot, allowing us to easily drive to Whitney Plantation afterwards. We booked the last Whitey Plantation tour time so we could head straight to the airport for our flights home. Spending 48 hours in New Orleans gives you a taste of why it’s one of the top cities to visit in the US. I’m sure it will leave you wanting more but it’s also one of the best destinations for a quick getaway. Please share this article if you found it helpful!